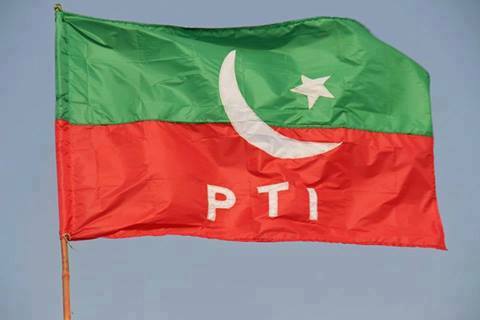 Pakistan Today has learnt that Pakistan Tehreek-e-Insaf (PTI)’s Sindh President Sardar Nadir Khan Leghari allegedly discouraged political heavyweights of the province who were planning to join PTI, thwarting PTI Vice Chairman Shah Mahmood Qureshi’s efforts. Those inclined to join PTI chief Imran Khan included five former chief ministers–Syed Ghous Ali Shah, Liaqat Ali Khan Jatoi, Arbab Ghulam Rahim, Mumtaz Ali Bhutto and Elahi Bux Soomro–and around two dozen former and sitting members of Sindh and national assemblies, PTI sources told the newspaper. Not only Leghari has been blamed for PTI’s failure in Sindh but a probe committee headed by Justice (r) Wajihuddin Ahmed has nullified his election as PTI Sindh president over alleged rigging by Leghari-led “Mehran Panel”. The PTI chief has been sitting on the committee report for a month and has not taken any action against the accused. However, according to a Sindhi nationalist, Leghari would anyways be discarded due to his poor performance. However, Leghari refused to comment over the issue as he said he was running late for a flight to Sukkur. Later on as well, he refrained from responding to Pakistan Today’s queries. Moreover, the source said that PTI VC Qureshi had visited interior Sindh and Karachi last month to implement a two-pronged strategy to develop support for PTI. “Under the strategy, Qureshi planned to lure Sindhi people towards the PTI by holding rallies and public meeting across Sindh. The November 21 public meeting in Larkana is a part of the same strategy,” the source added. Furthermore, Qureshi had also asked PML-Q Sindh General Secretary Haleem Adil Shaikh to join PTI and also play a role in pursuing other politicians of PML factions to join the party. “Shaikh, who has good ties with PML-N’s disgruntled leader and former chief minister, Syed Ghous Ali Shah, arranged an ice-melting covert meeting between Qureshi and Shah at a marriage ceremony. Later, Qureshi held another secret meeting with Shah and convinced him to join the PTI,” the source said. According to the source, Ghous Ali Shah later also convinced other bigwigs including Liaqat Ali Khan Jatoi, Arbab Ghulam Rahim, Mumtaz Ali Bhutto and Elahi Bux Soomro to jointly join PTI. The source added that Shaikh also contacted former MNA from Nowshero Feroz Syed Zafar Ali Shah, MPA Syed Murad Ali Shah, former MNA and senator from Mirpur Khas Khadim Ali Shah, former MPA Inayat Ali Shah, former MNA from Badin Abdul Sattar Sarewal, Mir Ijaz Talpur, former MNA and minister Inayat Talpur from Tando Mohammad Khan, Pir Sajjad Jan Sarhindi, Jam Abdul Karim from Malir, Shafiq Khan Khoso, Ayyaz Shah Shirazi and Shafqat Shah Shirazi from Thatta and former MNA and MPA Mir Ghalib Domki. The source said that since PTI had failed to make any breakthrough in Baloch-dominated areas of Balochistan, Shaikh also contacted former governor and acting chief minister Mir Nasir Mengal and asked him to join the party and play his role in help organise PTI in Balochistan. Pre-empting politicians’ entry into PTI, Leghari and his cohorts held press conferences across Karachi and Sindh, blemishing the politicians aiming at joining PTI. “Not only detestable language was used against these politicians, they were declared corrupt and greedy. This greatly annoyed the politicians who later held a meeting and observed that they were respectable people who had served their people in various positions. Had they been corrupt, the PPP’s government would have registered cases against them to settle political scores. So it was amicably decided that rather than joining PTI, efforts would be launched to form a United Muslim League to give a tough time to PPP and safeguard rights of the people of Sindh,” the source added. Confirming that Qureshi had invited him in the party and he too had later invited others, Shaikh said that soon afterwards, PTI’s local leaders of Sindh launched a vicious media campaign claiming that those joining the PTI were all corrupt politicians. They also alleged that those politicians vowing to join PTI were “extortion seekers who wanted to take cover under PTI”, he added.